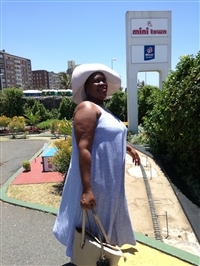 Nevia Ntebeni has won Free Accommodation 1 time! "I am honestly out of words,I have never for one think Id win a price of some sort,its the first time and am thrilled.I really am.thank you for making this possible for me,I didnt see it coming.thank you sleeping out"
Self catering apartments in Musgrave Durban. Modern fiited kitchen, bar fridge, stove , microwave, oven, hob. En-suite bathroom with shower. Pool facilities available. 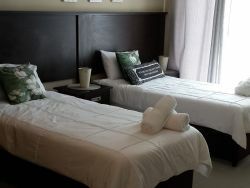 A day spa wellness centre on premises for your relaxation. Dstv and wifi available in all units. Private entrances to units. Onsite parking available. Close to Musgrave mall, Essennwood flea market, 2kms to city centre, 5km to beaches, uShaka, stadium.